Gainesville Area Women's Network - Community Event - Thrive. Movement. Mindfulness. Nourishment. Community Event - Thrive. Movement. Mindfulness. Nourishment. 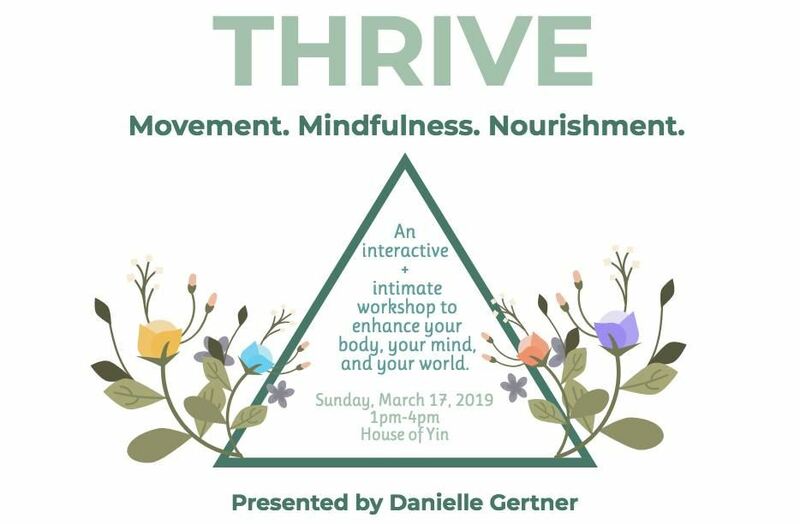 Experience a holistic wellness workshop led by Danielle Gertner of Gertner Grind. Define your true intentions and build a stronger foundation to nourish and move your body. Tickets will sell out quickly so please get yours soon! Please don't hesitate to email/message Danielle (gertnergrind@gmail.com) if you have any questions.